For Our Best Service & Itinerary Design .! You are guaranteed getting the lowest Ladakh tour package & hotel booking price if book with us, since we are based locally, there is no hidden cost, add-on commissions, or any third party handover of your tours operation.With our payment system you can avail easy EMI options too. We let you travel first and pay later. We use the latest line of transport (Innova Zylo cars & Mini turbo bus) well trained drivers with mountain driving license. Our guides are trained for high altitude and mountain sickness rescue.To secure your payments, we use CCAvenue payment gateway with easy EMI. Served more than 1000-plus guest every year, recommended in many tour guide books. 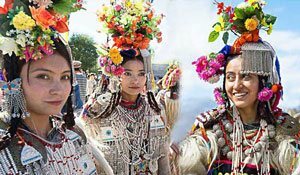 We are among the oldest tour companies in Ladakh. Our representative are ready to attain you 24/7 while you're in Ladakh. Booking with us your tour and money is always in safe hand. “… Then further west, The Tibetans encountered a distinctly foreign nation — Shangshung, with its capital at Khyunglung. Mt. Kailāśa(Tise) and Lake Manasarovar formed part of this country, whose language has come down to us through early documents. Though still unidentified, it seems to be Indo-European. … Geographically the country was certainly open to India, both through Nepal and by way of Kashmir and Ladakh. Kailāśa is a holy place for the Indians, who make pilgrimages to it. No one knows how long they have done so, but the cult may well go back to the times when Shangshung was still independent of Tibet. Road If you don't want to take flight, then you will have to reach Manali or Srinagar via trains and buses and then from Manali or Srinagar, you can catch a bus or a cab or even a shared taxi that drops you directly to Leh. 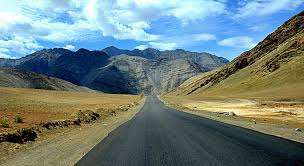 The road from Manali to Leh is said to be one of the most picturesque routes of the world. A lot of people cover this route on their motorbikes, especially on Royal Enfield motorcycles as the terrain is a bit bumpy. Some cycle enthusiasts also cover this distance over their bycycles. 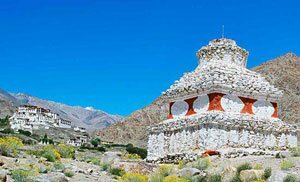 The mystic and awe striking region of Ladakh is surrounded with gorgeous scenery and travelling through this region can indeed be a pleasure. There are buses, taxis, motorcycles and bicycles available for getting across Ladakh and you can choose the one that you deem fit. Initially we thought the prices are very competitive compare o some operators we inquire in Mumba and pune. My wife was doubtful that we might not get the service promised. You people proved all wrong with your fantastic help, specially you staff took care my son who was sick first day. Through out the trip we felt very safe, at any point we get a chance to meet someone traveling to Ladakh we will refer you. Thank you team. Dear Footprints StaffÂ Our trip to ladakh in 2015 wasÂ a wonderful arrangementWith all your detail program and help. Specially your drive who took us to pangong lake , feelÂ very safe with him. Thank you so much we always recommend your serviceÂ MeraÂ and friends (Delhi)"
To Whom It May Concern: Having been working in Ladakh since 1995, both researching the various editions of my guidebook Trekking in Ladakh (Trailblazer Publications) and leading treks, I have found Footprints Adventure to be one of the best Tour organizer in the region. Nawang Namgil’s attention to detail, interesting itineraries, understanding of the needs of foreign tourists, professionalism and above all, responsible attitude towards the culture and environment of Ladakh means I have no hesitation in recommending his services.